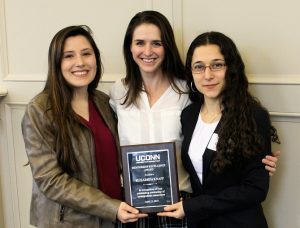 • Congratulations, Spring 2019 UConn IDEA Grant Recipients! Congratulations to the 33 UConn undergraduates who have been awarded UConn IDEA Grants in the spring 2019 funding cycle! The award recipients represent a variety of disciplines, from anthropology to animal science, and from biomedical engineering to art. They will conduct independent research, develop creative works in different media, and lay the groundwork for entrepreneurial ventures. 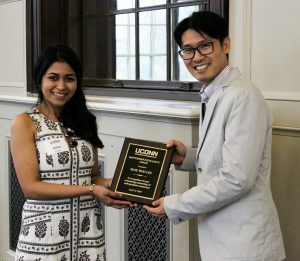 Click here to view the full list of spring 2019 UConn IDEA Grant award recipients. 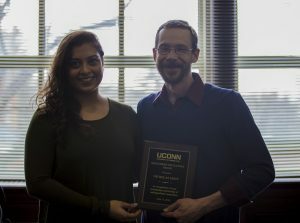 Special thanks to the faculty and staff who supported student applications to the UConn IDEA Grant and to those who will be mentoring the award recipients as they complete their projects. The UConn IDEA Grant program awards funding to support self-designed projects including artistic endeavors, community service initiatives, research projects, prototyping and entrepreneurial ventures, and other creative and innovative projects. Undergraduates in all majors at all UConn campuses can apply. Applications are accepted twice per year from individuals and from small groups who plan to work collaboratively on a project. The next application deadline will be in December 2019. • Congratulations, 2018 SURF Award Recipients! 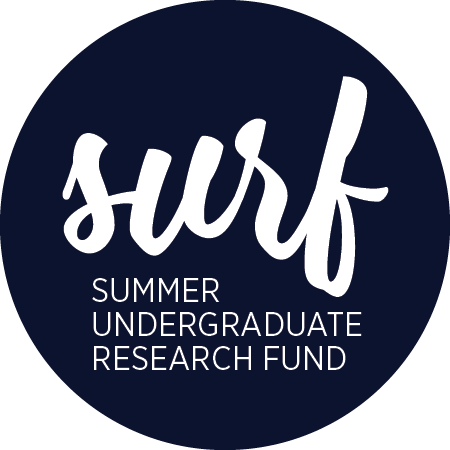 The Office of Undergraduate Research is pleased to announce the selection of 59 undergraduate students to receive SURF Awards in support of their summer undergraduate research projects. Click here to view the full list of Summer 2018 SURF awardees. Congratulations, SURF awardees! Your academic achievements, curiosity, initiative, and motivation were evident in your applications. You have an exciting summer of deep engagement with the process of academic inquiry ahead of you. We look forward to hearing about all you learn and discover! We thank the faculty members who supported SURF applicants in a range of roles: mentors, letter writers, and faculty review committee members. SURF represents a collaborative effort between students and faculty. This program would not be possible without the support and participation of the UConn faculty! OUR also extends thanks to SURF supporters in the UConn community. We are grateful to the Office of the Provost, the Office of the Vice President for Research, and to the Deans of the Schools and Colleges of Agriculture, Health and Natural Resources; Engineering; Fine Arts; Nursing; and Pharmacy, who all contributed funding to the SURF competition this year. Alumni, parents, and friends of UConn also helped fund SURF awards. 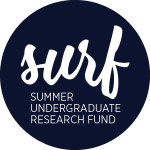 This collaborative funding effort ensures that SURF supports a diverse array of undergraduate research endeavors. We are grateful to all of our program partners for making intensive summer research opportunities available to students seeking to enrich their undergraduate experience in this way. Once again, congratulations to the recipients of 2018 SURF awards, and good luck with your summer projects! • Congratulations, Spring 2018 UConn IDEA Grant Recipients! Congratulations to the 40 UConn undergraduates who have been awarded UConn IDEA Grants in the spring 2018 funding cycle! 26 of the award recipients will be completing individual projects, and 14 will be working on collaborative group projects. The award recipients represent a variety of disciplines, from graphic design to history, animal science to biomedical engineering. They will conduct independent research, create art exhibitions and short films, design prototypes, and develop programs that engage the University community. Click here to view the full list of spring 2018 UConn IDEA Grant award recipients. The UConn IDEA Grant program awards funding to support self-designed projects including artistic endeavors, community service initiatives, research projects, prototyping and entrepreneurial ventures, and other creative and innovative projects. Undergraduates in all majors at all UConn campuses can apply. Applications are accepted twice per year from individuals and from small groups who plan to work collaboratively on a project. The next application deadline will be in December 2018. • Congratulations, Fall 2017 UConn IDEA Grant Recipients! Congratulations to the nineteen UConn undergraduates who have been awarded UConn IDEA Grants in the fall 2017 funding cycle! Thirteen of the award recipients will be completing individual projects, and six will be working on collaborative group projects. The award recipients represent a variety of disciplines, from nursing to puppetry, biomedical engineering to ecology and evolutionary biology. They will conduct independent research projects; produce documentaries, novels, and creative nonfiction pieces; design prototypes; and engage in service initiatives. Click here to view the full list of fall 2017 UConn IDEA Grant award recipients. The UConn IDEA Grant program awards funding to support self-designed projects including artistic endeavors, community service initiatives, traditional research projects, entrepreneurial ventures, and other creative and innovative projects. Undergraduates in all majors at all UConn campuses can apply. Applications are accepted twice per year from individuals and from small groups who plan to work collaboratively on a project. The next application deadline is March 12, 2018. • Congratulations, Summer 2018 UConn Co-op Legacy Fellows! 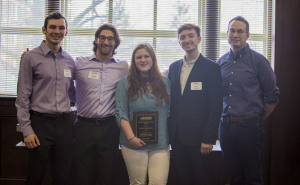 The Office of Undergraduate Research is delighted to announce the four students selected to receive UConn Co-op Legacy Fellowships to support projects they will complete summer 2018. Click here to view the full list of Summer 2018 UConn Co-op Legacy Fellowship Recipients. Born out of the UConn Co-op’s commitment to public engagement, innovative entrepreneurship, social impact, and active mentorship, the UConn Co-op Legacy Fellowship Program provides undergraduates the opportunity to pursue funded summer research projects and/or creative endeavors. Projects pursued through this program represent the legacy of the UConn Co-op’s commitment to public engagement, innovation, and social impact. 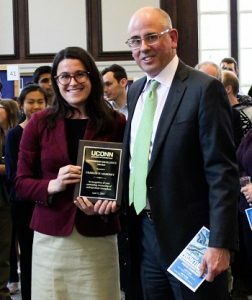 Special thanks to the faculty and staff that supported student applications to the UConn Co-op Legacy Fellowship and to those who will be mentoring the award recipients as they complete their projects. Click here for more information on the UConn Co-op Legacy Fellowship Program. • Congratulations, 2018 SHARE Award Recipients! 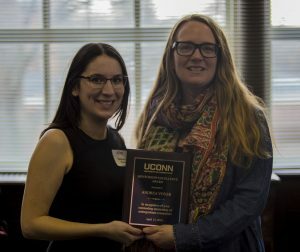 We are delighted to announce the 13 student-faculty teams selected to receive awards for Spring 2018 and thank the University of Connecticut Humanities Institute for its generous support of two of these student awards. Congratulations to all award recipients!